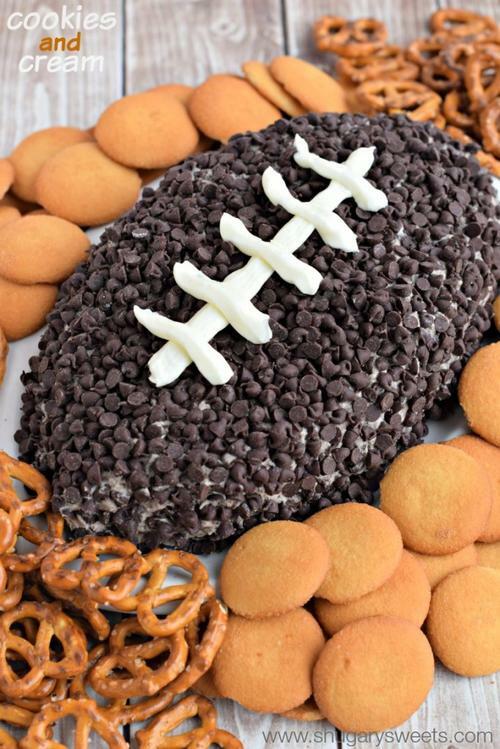 NFL Super Bowl XLIX is almost here and these football shaped foods will add a festive touch to your game day table. Whether you want mini cornbread footballs to accompany your bowl of chili or a sweet chocolate and cream whoopie pie to snack on during the final quarter, these foods will both delight the eyes and the taste buds. These tasty football cornbreads are the perfect side to a homemade bowl chili. Far from the traditional corn bead recipe, these are studded with chunks of pickled jalapenos and shreds of cheddar cheese. They are decorated with sour cream. You are often warned to stay away from raw cookie dough because of raw egg yolks. This recipe for chocolate chip cookie dough balls allows you to enjoy the pleasures of cookie dough without the worry since they are EGGLESS! If you are a fan of classic Hostess cupcakes, you are going to love these football whoopie pies. A whoopie pie is a cross between a cupcake and a cookie. It is tender and so delicious when sandwiched with cream filling. Forget crock pot bean dip, this football shaped bread bowl is the perfect container for a beefy cheese dip. This must-have appetizer is a crowd pleaser, especially for football fans. You fill this bread bowl with any dip so long as it is on the thick and sturdy side. 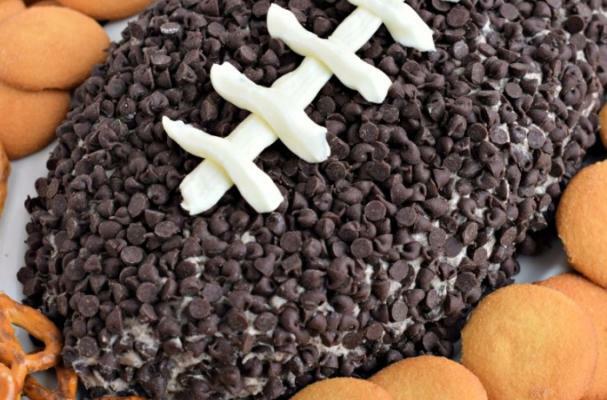 Dessert for a crowd has never been easier than this cookies and cream football. Crushed sandwich cookies are combined with cream cheese and shaped into a football. The sweet dip is covered in mini chocolate chips and served with vanilla cookies and pretzels.